Practising one week of Panchakarma programme, which includes vegetarian diet, yoga, massages, and meditation, will considerably reduce metabolic disorders, apart from reduced inflammation, reduction of high cholesterol and risk of cardiovascular diseases, reveals recent clinical trials. Panchakarma is a detoxification and rejuvenation therapy from Ayurveda, which involves massage, herbal therapies and other procedures that help strengthen and rejuvenate the body. As per reports published in journal Scientific Reports, attempts to use metabolic biomarkers to assess health benefits of integrative medicine and holistic practices have been made. As part of the strategy to create a framework for the whole systems, the next step is to correlate these changes with both gene expression and psychological health, Chopra said. The research team from University of California San Diego School of Medicine revealed that alternative and integrative medicinal practices like meditation and Ayurveda are very popular, but, their effects on human microbiome, genome and physiology are not fully understood. The study involved participation of 119 healthy male and female participants in the age group 30 and 80 years of age, who stayed at the Chopra Centre for Wellbeing in Carlsbad, California. A little more than half were assigned to Panchakarma intervention and the remainder to a control group. The blood plasma analysis were taken before and after the six-day testing period. Researchers found that in the Panchakarma group, there was a measurable decrease in the 12 specific cell-membrane chemicals (phosphatidylcholine), correlating with serum cholesterol and was inversely proportional to Type-2 diabetes risk. These phospholipids exert broad effects on pathways pertaining to inflammation and cholesterol metabolism, said lead author, Peterson. Plasma and serum levels of metabolites of phosphatidylcholine are highly predictive of cardiovascular disease risk. Panchakarma is Ayurveda’s complete detoxification and cleansing programme, which involves five basic therapies – Vamana, Virechana, Nasya, Basti and Panchakarma diet. It eliminates harmful ama (toxin) out of your system through the body’s own channels of elimination by way of colon, sweat glands, bladder, lungs, urinary tract, intestines, stomach etc. Panchakarma purifies the tissues at a deep level involving daily massages, oil baths, herbal enemas, nasal administrations etc. Panchakarma is a seasonal treatment for maintaining mental and physical balance. Panchakarma is a five-fold therapy, which is highly individualized, based on the needs of individual depending on Ayurvedic constitutional type, doshic imbalances, digestive strength, age, immune status, and several other factors. 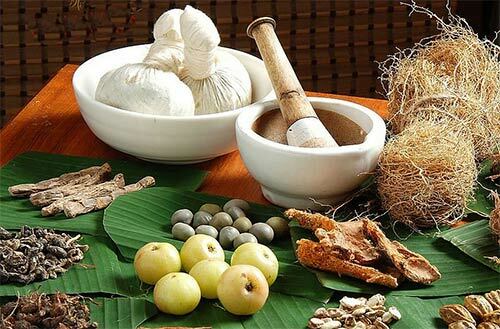 Therefore, it is essential that Panchakarma treatment is performed only by a knowledgeable expert. Panchakarma treatments have shown to create measurable brain wave coherence and to lower metabolic activity. They allow body and mind to enter a profound level of peacefulness. In this state of relaxation, it is possible to cleanse toxins from tissues and to deeply remove emotional tensions.